Hungary rejects the overwhelming majority of asylum requests from war-fleeing Syrians, new figures show, putting them out-of-touch with their EU counterparts. Budapest gave the green light to just 6 percent of asylum-seeking Syrians from April to June this year, latest Eurostat data reveals, compared with an EU-average of 98 percent for the same three-month period. It comes after critical report from Amnesty International, who say asylum seekers in the country are suffering ‘violent abuse, illegal pushbacks and unlawful detention’, against the backdrop of a ‘toxic referendum campaign’ on refugee quotas, which comes to a head this Sunday (October 2). The Hungarian government did not respond to a request for comment about Syrians’ asylum requests, but said in an earlier statement that Amnesty’s claims were ‘false and unfounded’. Its brutal civil war means people arriving into the EU from Syria stand the best chance of being recognised as refugees. Official data shows Syrian asylum requests are widely accepted – in the 12 months to June, 98.25 percent of demands were approved across the EU. In Hungary, just 10 of 180 asylum applications from Syrians were approved from April to June, a recognition rate of 6 percent. But that figure is higher if you look at the year to June, which saw 38.5 percent of requests given the green light. Brussels says granting asylum is ‘an international obligation’ and that EU states have a responsibility to examine requests ‘to uniform standards so that, no matter where an applicant applies, the outcome will be similar’. There is also concern about how asylum seekers are treated in Hungary, even before a decision is made on whether to grant them refugee status. This week, Amnesty International alleged Hungary’s authorities had developed an asylum system ‘designed to deter’ those seeking to be recognised as refugees. It says around 700 asylum seekers were being detained in Hungary and at one site police and security guards were issuing beatings and threats of violence to detainees. The human rights group adds that ‘a lengthy, complex asylum process’ and a lack of translators creates insurmountable obstacles to claims. 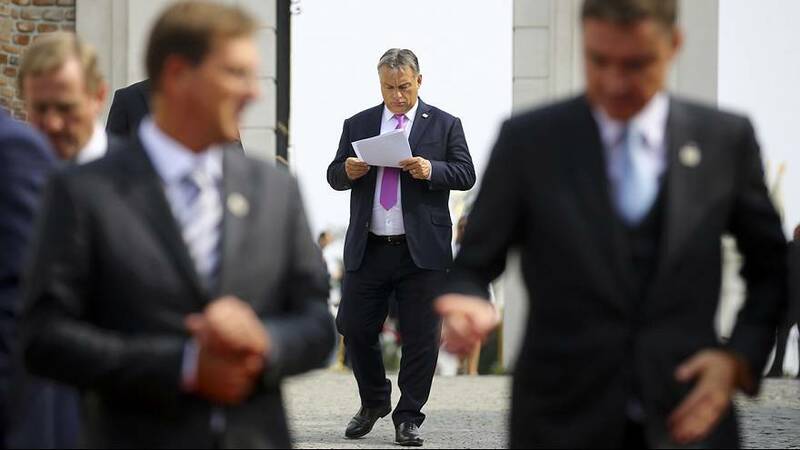 The report comes ahead of a controversial refugee referendum in Hungary on Sunday (October 2). Budapest is asking Hungarians whether they approve of the EU telling the country it has to accept a certain number of refugees from elsewhere in the EU. It relates to Brussels’ bid to ease the pressure on the countries worst-hit by the refugee and migrant influx in 2015. A survey by the US-based Pew Research Center revealed in July that 76 percent of surveyed in Hungary thought refugees would increase the likelihood of terrorism.